PET and MRI are established imaging modalities that have transformed our understanding of the brain. Simultaneous PET/MRI is a novel technology that allows us to jointly image the brain from the molecular to structural to functional (hemodynamic) levels. The advent of hybrid PET/MRI scanners thus has the potential to address fundamental neuroscience questions that cannot be understood with one modality alone or with two modalities acquired in separate sessions. However, because the field of PET/MRI is new, there are limited opportunities for PET/MRI researchers across multiple disciplines (nuclear medicine, physics, radiochemistry, neuroscience) to regularly interact. The SIG on PET/MRI will serve as a centralized network to promote research and educational activities on hybrid PET/MRI, and its unique applications in neuroscience. The SIG will build awareness of the PET/MRI hybrid modality, its advantages and limitations, and clinical translation for neurological and psychiatric disorders, into the broader ISCBFM community. 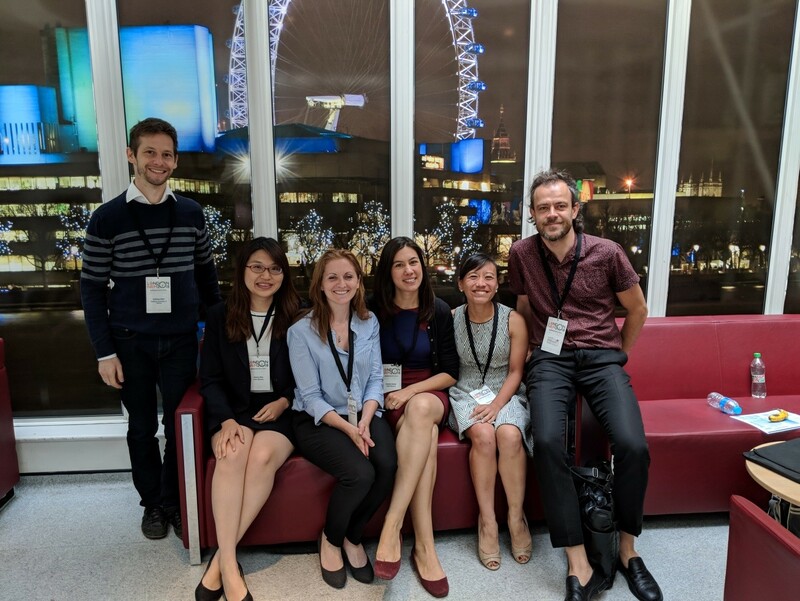 At its initial planning meeting at NRM 2018, the SIG already attracted the interest of several other researchers using PET/MRI, which reflects the feasibility of such an internationally connected network. The mission of the SIG on PET/MRI is to promote research and education in the nascent hybrid imaging modality of combined PET and MRI. We aim to understand the complementary signals from the different imaging modalities to uniquely inform functional neuroscience and clinical applications in brain disorders. This interdisciplinary network of engineers, scientists, physiologists, and clinicians shares a common goal of multi-modal, quantitative imaging as a window into brain function and neurological disease. Proposed educational symposium on “PET/MRI in Neuroscience” (Brain 2020): This symposium aims to highlight PET/MRI within ISCBFM and to provide a launch for members to become involved in the SIG. This educational event would have a practical “This is how I perform PET/MRI” component, as well as courses from engineers, neuroscientists, and clinicians to describe how the hybrid modality informs their research or clinical practice. We intend to observe a symposium at Brain 2019, and propose further research symposia at subsequent Brain meetings and satellite meetings. Networking (Brain 2019 meeting, Japan, July 2019): Similar to the initial meeting in London (NRM July 2018, see picture), we will also organize informal discussions between PET/MRI researchers. Because PET/MRI is a multi-disciplinary field, the SIG will also lead similar gatherings at related meetings, potentially including the International Society of Magnetic Resonance in Medicine (Montreal, May 2019), the Society for Nuclear Medicine and Molecular Imaging (Anaheim, June 2019), the Organization for Human Brain Mapping (Rome, June 2019), as well as other relevant meetings. Online journal club (ongoing): To highlight new PET/MRI research in neuroscience, we will regularly post new publications in the field in the online forum (see below). Furthermore, we will host quarterly, virtual journal clubs of published research studies (e.g. in JCBFM). The authors of the study will be invited to give a brief talk, followed by an online Question & Answer session with attendees that is moderated by an PET/MRI SIG member. All members of ISCBFM will be invited to the online journal club for education and research exchange of ideas. Collaborative research projects (ongoing): The SIG will have an online forum to discuss ongoing research projects, potential pitfalls, and plan for collaborations. This includes an opportunity to share data and inform others in the PET/MRI community of new projects, prepare joint grant applications or invite visiting scholars for collaboration. If you want to become involved with the PET/MRI SIG click the link below. Your participation is welcome!